Tickets are now on sale for “Star Wars: Secrets of the Empire” hyper-reality experience. 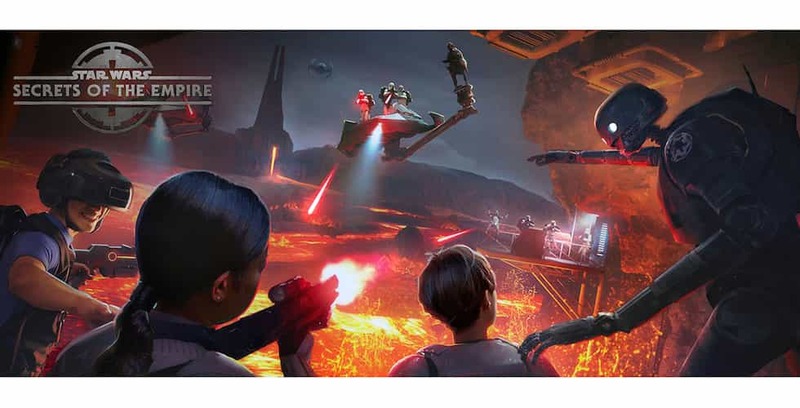 Star Wars fans can experience a galaxy far, far away like never before with “Star Wars: Secrets of the Empire,” the new VR, “hyper-reality” experience set to debut this winter at Disney Springs. Tickets are now available for this experience at the newest Disney Springs location, The VOID, as well as at Downtown Disney at the Disneyland Resort. The Walt Disney World experience will open on Dec. 16, 2017, and the Disneyland experience will open on Jan. 5, 2018. “Star Wars: Secrets of the Empire” will take guests into the saga’s universe, and allow them to walk freely throughout the experience in groups of four. Each group will go undercover as stormtroopers to obtain Imperial intelligence that is crucial to the rebellion’s survival.